By John Hamilton, President, Service Strategies Corp. The most disruptive and compelling technology that will facilitate better service to customers from a predictive enablement perspective is the Internet of Things (IoT). This refers to connecting any device with power to the Internet. It includes phones, household appliances, automobiles, machinery, medical instruments, and almost any electronic device you can think of. 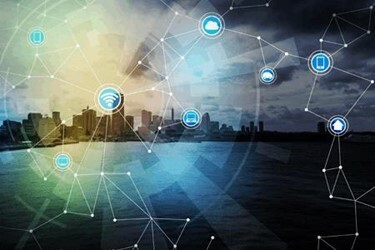 To understand the magnitude of this technology, Gartner predicts that, by 2020, there will be more than 26 billion connected IoT devices. From a support perspective, being connected remotely to your customers’ equipment provides numerous advantages to a service organization. This is not a new concept, as large computer manufactures and data storage companies were remotely connected to their client systems via a dedicated telecommunications link, including dial-up, more than 30 years ago, prior to the commercialization of the Internet. Modern IoT now provides enhanced remote monitoring, troubleshooting diagnosis, predictive analysis and usage, and performance data. This capability equates to efficiencies and cost savings to the service provider, especially when a problem can be diagnosed and corrected remotely without the need to dispatch a service engineer on site. Creating a justification to implement IoT into your service delivery infrastructure requires a thorough understanding of your company’s strategy and product direction. For example, do your current products contain any sensors, diagnostic reporting features, and the capability to be connected to the Internet? If the answer is no, then is it cost effective to retrofit existing installed equipment to enable minimum IoT functionality? On the other hand, are your new products being engineered with IoT capability to enable advanced servicing? Getting answers to these questions does require involvement from product engineering and marketing. Consequently, an IoT strategy cannot be confined to service alone. Other departments need also to benefit from IoT connectivity. For instance, the data that could be captured about equipment usage and reliability would be invaluable to product engineering and marketing. The impact of IoT on most product-based businesses is so great that a corporate-level decision is generally required to fund this important initiative. Involving customers and getting their buy-in is crucial to the success of any IoT strategy. The greatest obstacles most often encountered are security and privacy concerns. Customers want control over what data is being captured, who it is shared with, and how it’s being transmitted. Overcoming corporate network firewalls is complicated, but if the customer maintains control and can secure the communication channels, these issues can be overcome. As I mentioned earlier, IoT offers immense benefits to service organizations, which can reduce costs and increase their efficiency. However, when selling the value of advanced IoT connected services, just offering faster response and resolution rates is not enough. Customers have come to expect much more. They are demanding outcome-based services that deliver tangible benefits to their businesses. This could include optimizing their business processes based on the IoT usage data that we are now capturing. Product uptime is another critical concern for customers, and IoT can drive a predictive maintenance schedule and generate proactive alerts to mitigate equipment downtime. We need to gain a deep understanding of our customers’ unique business challenges so that we can build a convincing value proposition for an advanced IoT service solution. The amount of data that could be generated from a single IoT-equipped device is significant. As your client base of installed IoT equipment grows, the volume of data generated has the potential to become enormous. Obviously, you need to have a plan and the technology infrastructure to store and analyze the data. This could involve big data analytics and some amount of artificial intelligence (AI). Segmentation of the data is also required to channel critical alerts to your service management system. Other usage and trend data for predictive and proactive service should be compiled into standard reports and provided to clients as a core deliverable of your advanced service offering. In summary, IoT can provide huge benefits to both service providers and customers, but it requires considerable planning and investment for a successful implementation. If you haven’t started on this journey, my recommendation would be to begin with a detailed IoT Readiness Assessment to gauge your company’s current capability and commitment. Contact https://servicestrategies.com/consulting-services/service-assessments/ for more assistance.